Vinyasa yoga, Hatha yoga, Restorative, Bikram... there are so many different styles of yoga to choose from! With all the different kinds of yoga to pick from within your studio, you might not have seen some of the cool new yoga styles you can try outside the studio. From yoga on horseback to yoga in the air, to even yoga on a slackline, here are some of the trailblazing yoga styles that are bringing this ancient practice into the 21st century. It may not be a trend yet, but it's getting very popular! 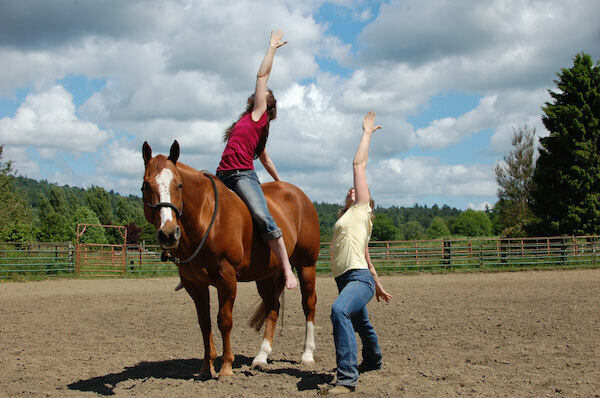 Horseback Yoga™ is exactly what it sounds like, and, "teaches you how to unite with your equine partner in a meaningful way, through calming your mind, conscious breathing, heightening awareness, and gently opening tight spaces in the body." So if you've been looking to take your yoga outdoors in a whole new way, check out the totally unique and fun Horseback Yoga here! Aerial yoga has definitely caught on in the past few years, and it's easy to see why. Who wouldn't love to invert with ease, with the added bonus of feeling weightless? Unnata Aerial Yoga got the Aerial ball rolling, and is a traditional yoga asana class that uses a hammock hung from the ceiling to help you with many of the traditional floor postures. Sometimes your body is partially supported by the hammock, and sometimes it's supported fully. Give this awesome style of yoga a try the next time you get a chance, and find Unnata Aerial Yoga here. 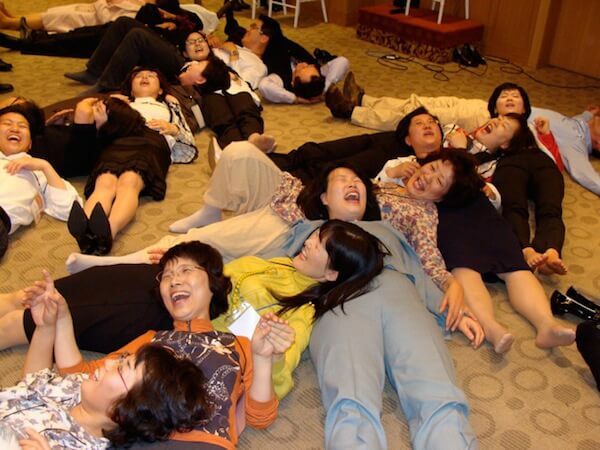 Developed by Indian doctor Madan Kataria, Laughter Yoga is making its way all around the world at the speed of light. Even though it doesn't contain traditional physical asanas, Laughter Yoga uses Pranayama breathing techniques and laughter to oxygenate the brain, lower stress levels, and leave you feeling happier and full of smiles. Find more info on Laughter Yoga right here! Yoga and... hula hoops? That's right! With Hoop Yogini's style of yoga, you'll unleash your inner child with a cool combination of hula hooping and yoga. According to their website, "the circular nature of the hoop gently encourages movement, freedom of expression, conscious daydreaming (a lost art for most adults!) and improved range of motion." If that sounds like something you've been craving in your life, and you've been wondering what to do with the hula hoop that's sitting in your garage, check it out, and find more information about Hoop Yogini here! SUP yoga, or Stand Up Paddleboard yoga, is another cool style that's caught on in the past few years. SUP yoga is challenging, fun, and perfect for a summer's day. Since SUP yoga is practiced on a Stand Up Paddleboard on a still body of water, you need to figure out a whole new way of moving and balancing to counteract practicing on the water. Try it while on vacation, or find a local SUP yoga place if you're lucky enough to live near a body of water. It's a great way to enhance your practice, and you can find out more about it here! While yoga doesn't have its own version of the X Games (at least yet), Slackline yoga comes pretty close! Practiced on a 1 inch piece of webbing that's lightly tensioned between two trees, or even more extreme places, Slackline yoga is anything but easy. It takes a whole bunch of concentration, and while difficult, can be mastered with perseverance. 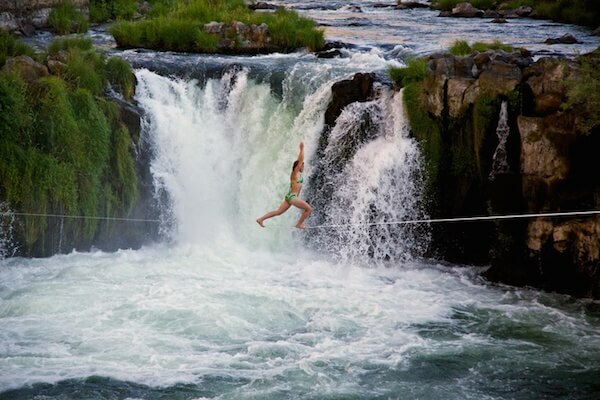 For some unbelievable Slackline yoga inspiration, check out the YogaSlackers here. Do you love the sense of connection and community that comes with a yoga practice? Then maybe AcroYoga is your jam. AcroYoga is a partner practice, where a "flyer" relies on a "base" to support them and help them move through a flow. 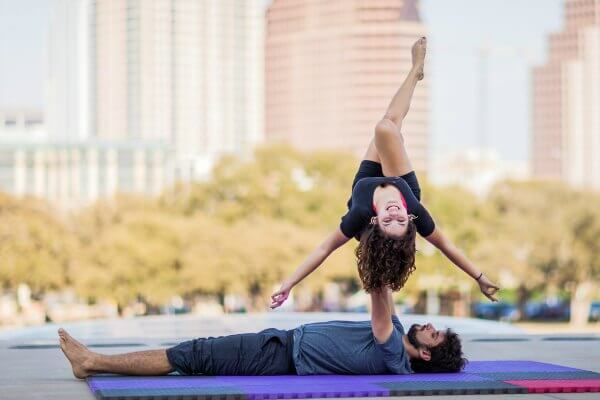 Combining the best parts of acrobatics, yoga, and a bit of trust, AcroYoga is truly something to behold. So bring a bit of play into your practice, and find out more about AcroYoga here! 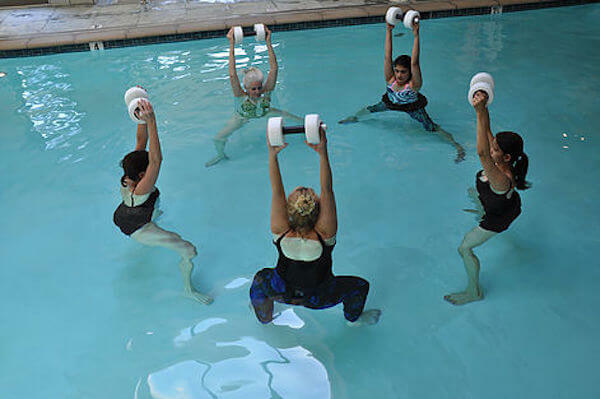 Aqua yoga is probably the gentlest of these cool new yoga styles, so if you have mobility issues or feel limited on your mat, hop in the pool and give Aqua yoga a try! Aqua yoga uses the principles and asanas of yoga and adapts them to the water for a truly restorative practice. You can experience all the same benefits of a mat-based yoga class, while being very gentle on your joints and muscles, which helps keep your body in tip-top-shape and working order. Find out more information about Aqua yoga here. Have you tried a particularly cool style of yoga? Tell us all about it in the comments below!